Recently I joined the SciPost journal as editor fellow. It is the first time that I work as editor for a journal. At the beginning I thought that this role would have taken me much time but then I realized that the editor work often takes less time than that of the referees. Probably in other journals where many articles are published, things are different, but on scipost it does not seem too challenging to be an editor. The reasons because I decided to work for Scipost are that: 1) SciPost.org is two-way open access journals (free to read, free to publish in) with an innovative peer-witnessed form of refereeing; 2) SciPost is a not-for-profit foundation 3) it is managed by professional scientists and publish high quality physics. Honestly I find ridiculous having to spend thousands of Euros to publish in an open access journal or be forced to buy subscriptions to read articles written by researchers working in universities or public research institutes. (more details on my post on open access journals). 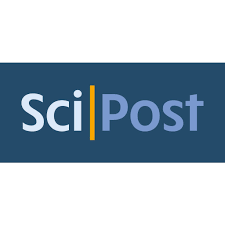 I hope that if SciPost will be successful it will demonstrate that it is possible to create high quality journals without the need of large companies beyond and at zero cost for readers and authors. This entry was posted in open access journals, publications, research and tagged journals, open access, publications, scipost on 21/12/2016 by attacc.